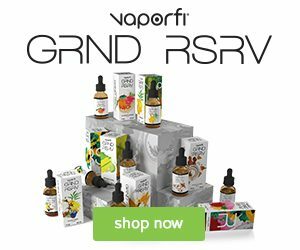 7Daze E-juice is a premium e-juice brand that started out in early 2014. Since 2014 they have earned their way up the industry earning their deserved spot as one of the most popular brands. 7 Daze is known for their fruity and candy blends that have taken the vape industry by storm! 7 Daze offers a variety of different flavor combinations that appeal to every consumer, so no matter what flavor you may be seeking 7Daze has the perfect e-juice for you! 7Daze Ejuice has the motto “Give The People What They Want” and since the beginning that is what they have continuously striven to achieve. West Coast Vape Supply has completed a complete review of 7 Daze for your vaping pleasure. Nothing is better than biting into a freshly picked, juicy, crisp red apple. Selfie Sunday by 7 Daze takes that fresh red apple flavor and blends it into a tall savory glass of apple juice, well apple e-juice. This delicious blend floods your mouth with its savory original flavor that dances across your taste buds with each puff. This e-juice is sure to delight with its flavor packed experience, that crisp red apple flavor will not disappoint. Every puff is identical to biting into a fresh apple and provides you with a refreshing taste. You may not be able to eat an apple a day to keep that doctor away, but you sure can vape it all day with Selfie Sunday by 7 Daze. A perfected fusion of tart berries to provide you with an intense flavor combination. Reds Berries takes tangy blueberries, ripe raspberries, and juicy pomegranates and blends it with their original Reds Apple e-juice to provide a intense and savory flavor. This flavor explosion will have you craving more and more with each puff, this is the type of e-juice you just cannot get enough of! Reds Berries is the ideal all-day-vape because from the first drop to the last you won’t lose any of its original flavor. The tart blueberries dance across your taste buds delighting them, but what rushes over next will make them shoot up Nirvana. The ripe raspberry flavor is so authentic in taste it provides an oh-so-savory flavor. The exhale is complemented by a juicy pomegranate flavor that will smother your taste buds and provide the perfect exhale. Reds Berries by 7 Daze is truly one of a kind. The original Reds flavor is still one of the most popular flavors from 7 Daze. 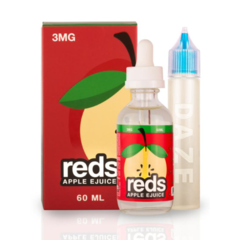 This original flavor takes a crisp red apple flavor and blends it into a savory e-juice. This e-juice resembles that tall glass of apple juice that just cannot be beat. Reds Apple is authentic in flavor and provides a refreshing taste with each puff. This e-juice is perfected for everyone who loves a base apple flavor. Though Reds Apple isn’t a fusion of different fruits, it provides a savory treat for all to enjoy. There is no need to mix different combinations with this e-juice as it provides a juicy and sweet flavor. 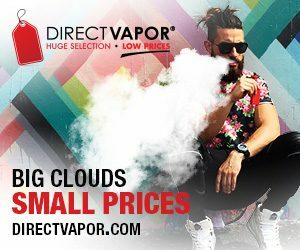 With each puff your taste buds will be intoxicated by its authentic flavor, it is truly like no other in-regards to the taste of this e-juice. A tall glass of apple juice fused with savory concord grapes makes the perfect combination. Reds Grape takes that savory original Reds Apple e-juice flavor and fuses it with succulent concord grapes to provide a new take on any apple flavor. Nothing quite blends together like juicy red apples and grapes and thanks to 7 Daze now that perfect fusion is here for all of us to indulge in. With each puff your mouth will be flooded with the taste of fresh homemade apple juice. Your tongue will be smothered in its intense flavor, delighting your taste buds. This refreshing treat is perfect for an all-day-vape. Rushing over next is that juicy concord grape flavor that is sure to please. This combination blends perfectly providing a truly refreshing treat. These flavors are truly authentic in taste and will not disappoint! Indulge in a refreshing treat all day long with Reds Watermelon. Nothing can be more savory than fusing crisp and juicy watermelon with, once again, that original Reds Apple flavor. Both watermelon and apples provides a refreshing taste on a warm summers day. That is only one of the things that make this e-juice truly savory and hydrating. Nothing is better than a crisp watermelon while your out by the pool and a tall glass of apple juice is sure to please. This combination is one of a kind in taste and truly takes the cake when compared to other e-juice that are a-like. On the inhale is that juicy apple taste that will make your mouth water. This intense flavor is complemented by a crisp watermelon. This watermelon flavor rushes over next washing down those red apples. These flavors fuse together providing a unique taste that is better than any fruit salad you may come across. That savory original Reds Berries flavor has now been frozen! Those ripe raspberries, tart blueberries, and savory pomegranates were locked in a freezer to provide you with an icy twist that any menthol fanatic will lose their minds over. Cool down on a warm summers day with a chilling blast of menthol with this e-juice. This flavor combination is perfected for everyone who loves those tart berries. With each puff a rush of blueberries will dance along your taste buds delighting them with its authentic flavor. The blueberries cannot dance alone so next to join them are those ripe raspberries. This fusion provides a tart fruit salad taste that is sure to please. On the exhale those juicy pomegranates combine with that menthol base creating a refreshing and icy ending. Menthol lovers can all come to agree on one thing and that is that Iced Reds Berries is truly one of the best. Apple juice on the rocks, please! Freeze those freshly picked juicy reds apples and blend them into a savory e-juice, that is exactly what 7 Daze did so you wouldn’t have to! End the search for you’re new favorite e-juice because you have just come across it, Iced Reds Apples by 7 Daze. Iced Reds Apple takes that original Reds Apple flavor and put it on the rocks, meaning an added icy twist for all those menthol lovers. With each puff your tongue will be smothered in that fresh red apple taste, even possibly tricking your taste buds into thinking that you have just bitten into a juicy apple. To add on to this already refreshing e-juice, on the exhale is a menthol base to provide an icy blast with each puff. Iced Reds Apple is perfect for a warm summers day to cool you down all day long. 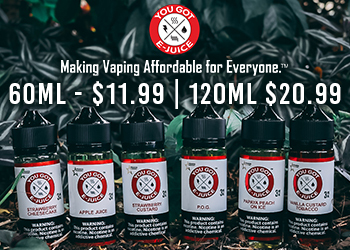 Apple juice that has been blended with concord grapes with an added twist of icy menthol on the exhale is truly one of the best e-juice combinations around. This authentic blend has been recreated by 7 Daze to make their Iced Reds Grape e-juice and it is truly one to beat. These juicy concord grapes are almost identical in taste that your taste buds will be confused on if you actually just ate a handful of concord grapes. On the inhale you mouth will be flooded with a refreshing glass of ice cold apple juice, making your taste buds scream with pleasure. Rushing over next is that authentic and juicy concord grape flavor that dances along your taste buds delighting them. The exhale is what really puts this e-juice together, the cooling rush from that savory menthol base is sure to please. Iced Reds Watermelon fuses the famous original Reds Watermelon e-juice with an icy blast from a menthol base. 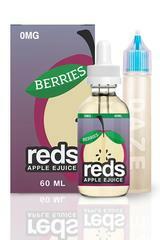 This refreshing e-juice is a blend of 7 Daze original Reds Apple and a crisp and juicy watermelon. This fusion of freshly picked red apples that have been turned into a sweet apple juice and hydrating watermelon makes this combination perfect for an all-day-vape. Iced Reds Watermelon is truly authentic in taste and that crisp watermelon will smother your tongue with its intense flavor delighting your taste buds with each puff. The exhale is an cooling blast that ties this e-juice together to perfection. A traditional fruit salad taste is sure to please with this e-juice. Magnetic Dust vape juice is an explosion of savory blend your taste buds will thank you for after with each puff. This rainbow explosion consist of sweet strawberries, tart raspberries, succulent oranges, and ripe grapes, if only actual dust tasted this good. Your taste buds will not be disappointed with the rush of these fruity flavors. The inhale is a fusion of all these fruity notes that have been blended into perfection. 7 Daze e-juice has done the ultimate job with creating this e-juice, you can truly taste each fruit with every puff. The exhale is just as delightful as when the flavors combine it is intensified providing a true flavor packed experience. Anyone seeking a new combination of authentic fruit flavors will not be disappointed with the savory blend of Magnetic Dust vape juice. From out of this world comes an intergalactic craze, Magnetic Rocks vape juice by 7 Daze. This savory blend will remind you of those tangy hard candies from your childhood. This fusion of grape and strawberry hard candies is truly out of this world. There is no more need to throw that handful of candies you’re hiding in your desk into your mouth anymore, Magnetic Rocks vape juice provides that authentic combination taste with every puff, so now you can kick those cravings guilt-free. These won’t pop in your mouth like some of those hard candies but will give you that original flavor you’ve been seeking. The inhale is a rush of crushed up grape and strawberry candies that will sooth that sweet tooth of yours from the first puff. This candy blend is sure to please with its explosion of flavors. The exhale will leave you wanting more, an e-juice you just truly cannot get enough of! 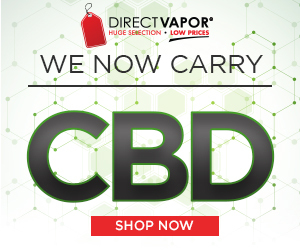 Nothing about this vape juice is actually magnetic, but it is known to be an addicting flavor, so no doubt that you will be drawn to this e-liquid like a magnet. Magnetic Worms is your favorite bag of sour worms reincarnated into a savory e-juice blend. If you are seeking a lip puckering sour flavored e-juice, look no further than Magnetic Worms by 7 Daze. 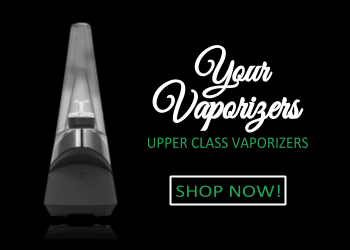 This sour blend has been perfectly fused with a candy base to provide a balanced e-juice. 7 Daze has done a phenomenal job with creating this blend, the balance between sour and sweet is hard to create and most e-juice brands can easily miss this mark. Magnetic Worms vape juice hits this mark perfectly and provides one of the best on the market blends between sour and sweet. Not only has 7 Daze found the perfect balance but they have also been able to recreate an authentic sour worm flavor.